Mood boosting tips that are as easy as putting on pants. Working remotely is awesome. You can stay in your pajamas all day if you want, work from your bed if you’re feeling tired, you don’t have to deal with the hectic commute to the office, and you get to hang out with your pet all day; there’s so many perks to working at home. In fact, stats about remote work show that 82% of telecommuters reported lower stress levels. But even with all the joy remote work can provide, sometimes it can also negatively affect your mood. Working remotely is a dream for many at first. But, as time goes on, you can find yourself stuck in the dreaded remote work rut. Feelings of loneliness and isolation can creep in and your motivation and productivity can go right out the window. So, if you’re feeling stuck in a rut, how can you get out of it? Check out these seven ways to boost your mood when working remote. If you work remotely, it can be tempting to stay in your pajamas all day every day. Who doesn’t enjoy being cozy and comfortable? But if you want to boost your mood, you should put on pants. Getting dressed every day does wonders for your mood because as the old saying goes: When you look good, you feel good. Working from home typically means you’re sitting inside all day. So, to get a quick boost in your mood, get some sunshine. Studies have shown that sunlight increases levels of serotonin. The more sunlight the human body is exposed to, the more serotonin the brain produces. Serotonin is known as the happy chemical, because it contributes to feelings of well-being and happiness. So, take a couple breaks throughout the day to bask in the sunlight, it’ll do wonders for your mood. Working alone at home all day can cause feelings of loneliness and isolation, even if you consider yourself an introvert who’d rather be alone. But, simply being around others can combat those feelings of isolation and boost your mood. Instead of sitting at home all day, every day, work in public once and awhile. Working in public, whether it’s at a coffee shop or library, will allow you to get that human interaction you’re lacking. You could even look into affordable shared workspaces in your area which is a great opportunity to meet other remote workers and entrepreneurs. If you can’t get out of the house, another good tip is to listen to a podcast. With podcasts, you’ll at least get the feeling of human interaction by listening to people talk. It’s common knowledge that exercising not only improves your physical health, but it boosts your mood as well. Sitting all day isn’t good for you and for most remote workers, their day consists of sitting in front of a computer screen for hours on end. So, get up and move around. You can set a timer on your phone to remind yourself to get up and walk around — or maybe have a little dance break. Even just standing while you’re working can improve your physical and mental health, so consider getting a standing desk. Having no one to talk to get a second opinion or simply chat to about your day, can make you feel alone. If you want to boost your mood when working remote, you need to make time for chatting. If you work for a remote company, take advantage of a communication tool like Slack to chat with your coworkers. If you work independently, join some online groups or forums, where you can chat with like-minded individuals. You’ll feel less alone and you’ll have the ability to bounce your ideas off someone else. When working remotely, it can sometimes be hard to take a break. You’re in the zone and getting stuff done, so it’s hard to stop yourself and rest. But you need to take breaks in order to boost your mood, refresh your mind, and increase productivity. Studies have even shown that prolonged attention to a single task actually hinders performance. If you need help reminding yourself to take a break, try using a free web app like TomatoTimer that uses the Pomodoro technique. This technique breaks down work into intervals, traditionally 25 minutes in length, separated by short breaks. Separating your professional and your personal life is hard for many people, but it’s especially hard for remote workers. For remote workers, their professional and personal lives tend to blend together. After all, many work from their living rooms, or even bedrooms. But if you want to boost your mood, you need to separate work from home. To do this, create a schedule for yourself and stick to it. When your work day is done, stop working. Don’t read any work emails after business hours either. It also helps to have a dedicated space for work. Not everyone has the opportunity to have their own office at home, but you can set up a desk area, instead of working on the couch, to make separating work from home easier. Remote work is a blessing most of the time. But there are drawbacks from time to time as well. 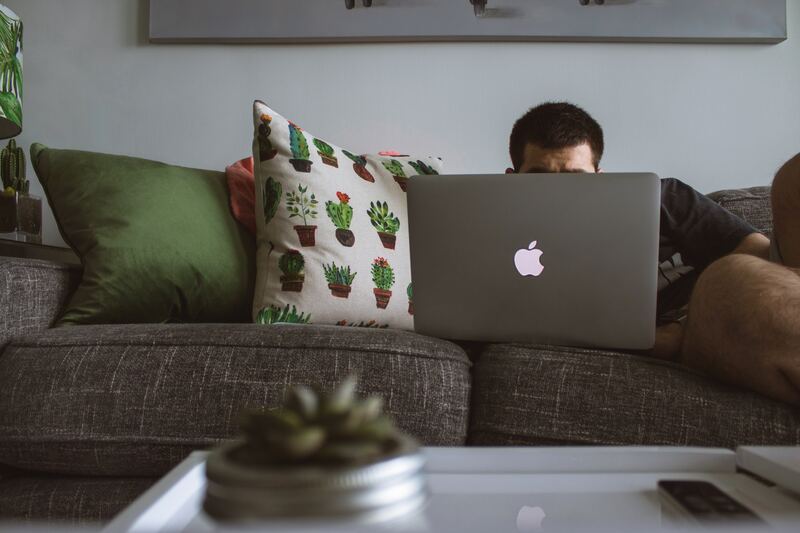 Luckily, with these tips for how to boost your mood when working remote, you’ll know how to get yourself out of a remote work rut. Plus, the happier you are, the better work you’ll produce. Syed Balkhi is an award-winning entrepreneur and online marketing expert. He is the co-founder of WPBeginner, OptinMonster, MonsterInsights, and WPForms.